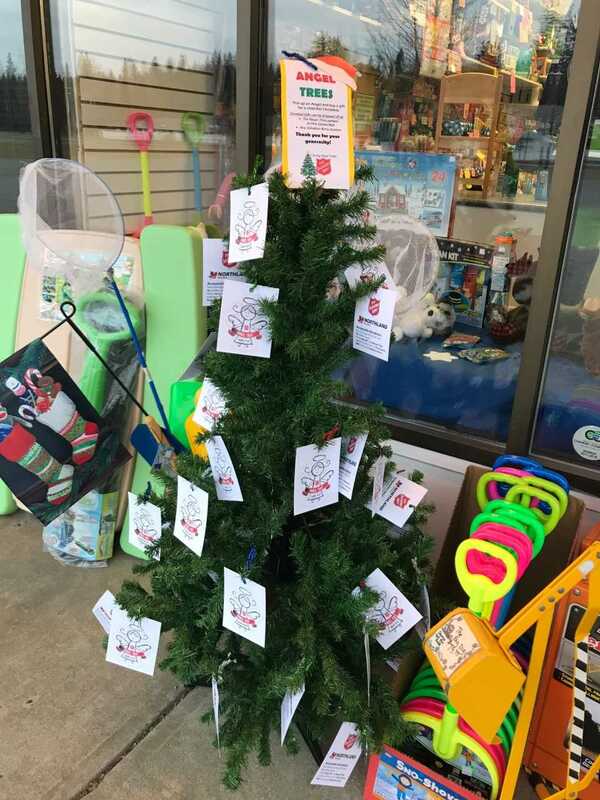 Watch for the ANGEL TREES scattered around the city at the following locations: Walmart, Best Buy, Gingerbread Toys, Superstore and Great White Toys Comics Games. Gifts can be brought to the Northland Nissan Titan truck at Pine Centre Mall. Alternatively, gifts can also be brought to the Salvation Army - either the Curt Garland Centre or to the Church on Ospika Blvd. Gifts are due in by Dec 14th.